A fleet-footed guard whose magic touch thrilled fans everywhere, Navarro will go down as one of the greatest shot-makers and medal-collectors in the history of basketball. 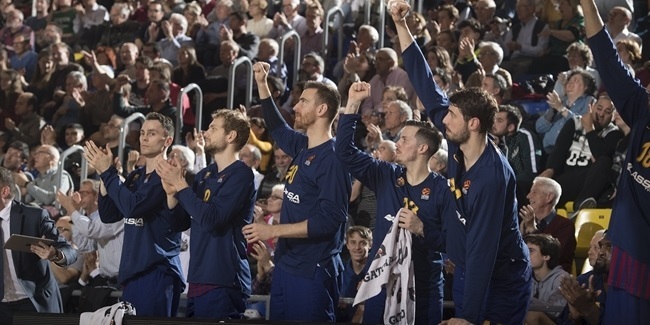 He spent 20 seasons playing for Barcelona and is the only player to have conquered both of the club's EuroLeague titles, in 2003 and 2010, the latter while being voted the Final Four MVP. 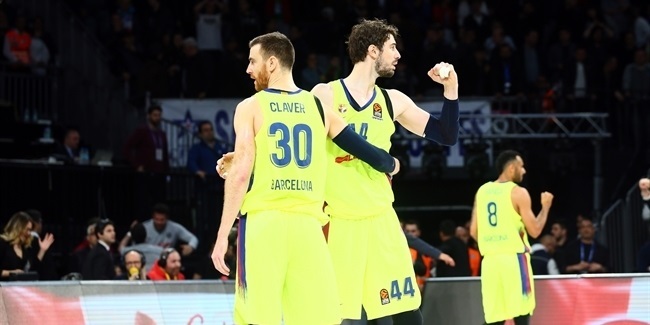 He had been the EuroLeague's full-season MVP one season earlier, as well. 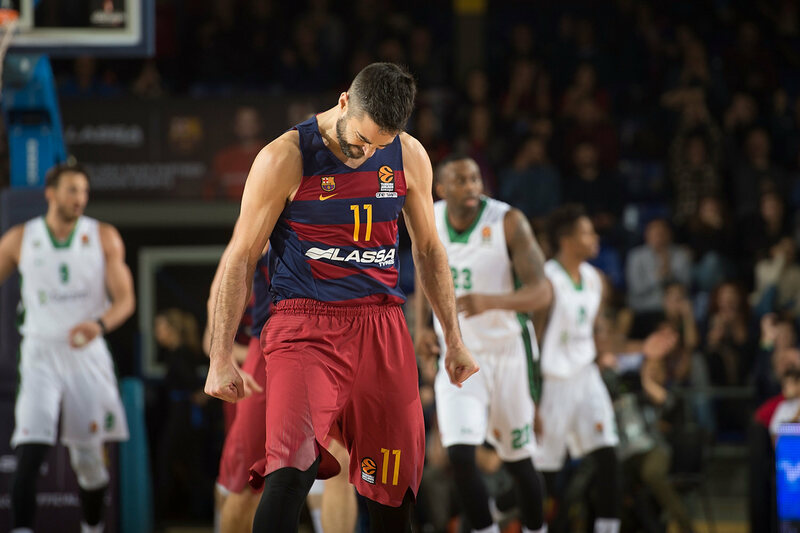 Navarro retired last summer as the EuroLeague's all-time leading scorer, with 4,152 points. He ranks first in games played (341), three-point shots made (623) and performance index rating (3,890). 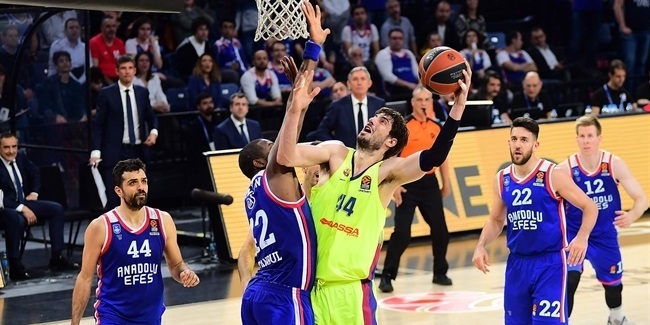 He holds the record for being voted to the All-EuroLeague First team five times: in 2006, 2007, 2009, 2010 and 2011, and he was chosen a member of the EuroLeague's All-Decade team in 2010. 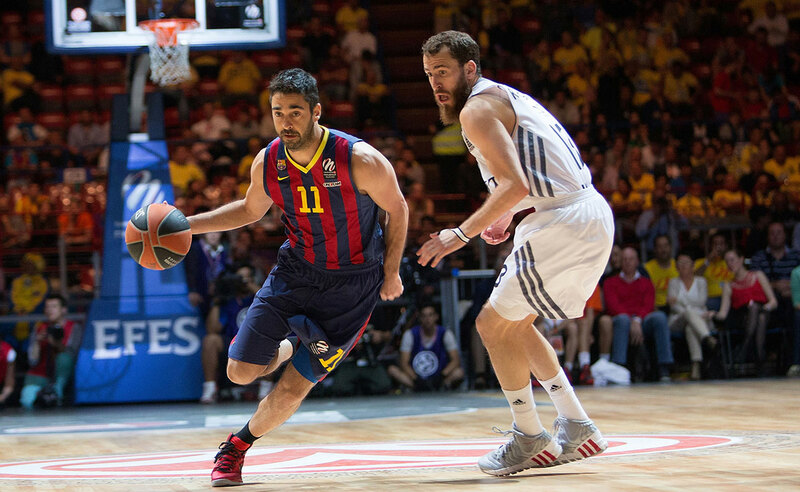 Navarro was chosen to the All-EuroLeague Second Team in 2012 and 2013 and led Barcelona to eight Final Fours. In his domestic competition, Navarro led Barcelona to eight Spanish League, seven Spanish Copa del Rey and five Spanish SuperCup titles. 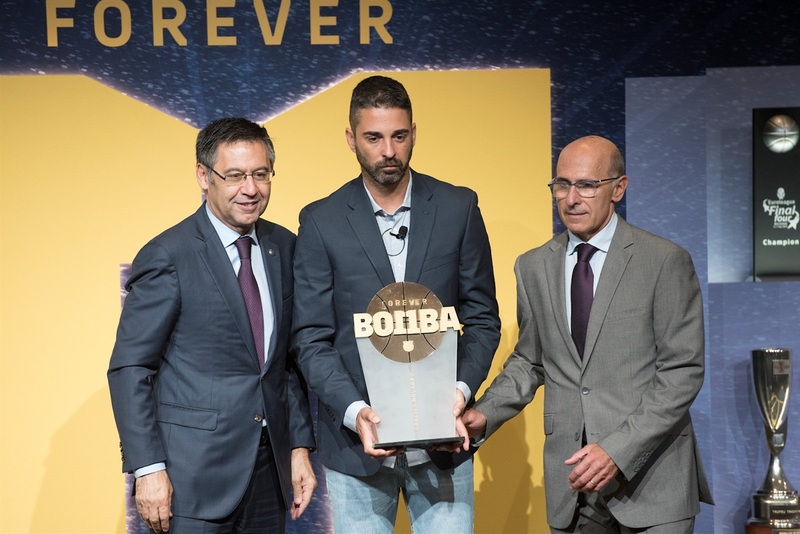 He also won the 1999 Korac Cup with Barcelona. 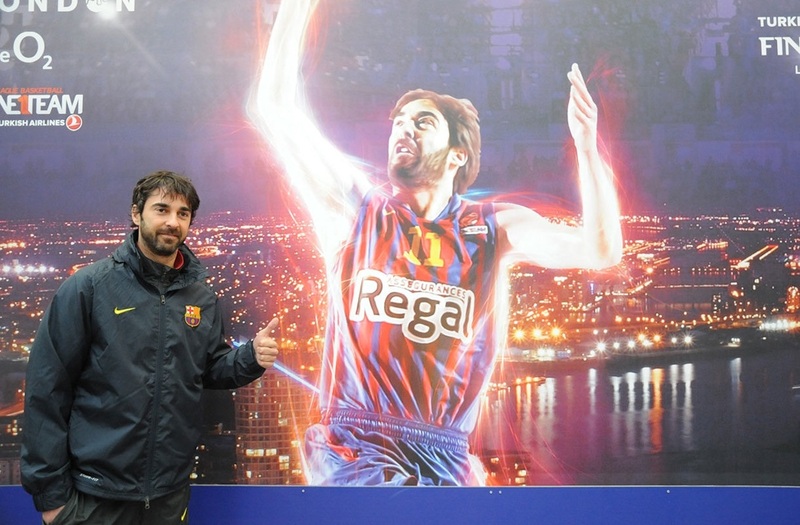 Navarro was equally successful with the Spanish national team, for whom he played a record 253 games and became one of four just basketball players in the world to appear in five Olympic Games. He led Spain to the 2006 FIBA World Cup title and EuroBasket gold medals in 2009 and 2011. He was chosen as the EuroBasket 2011 MVP. He also won three Olympic medals – silvers at Beijing 2008 and London 2012, and bronze in Rio 2016 – and four more EuroBasket medals: silver in 2003 and 2007 and bronze in 2001 and 2017. 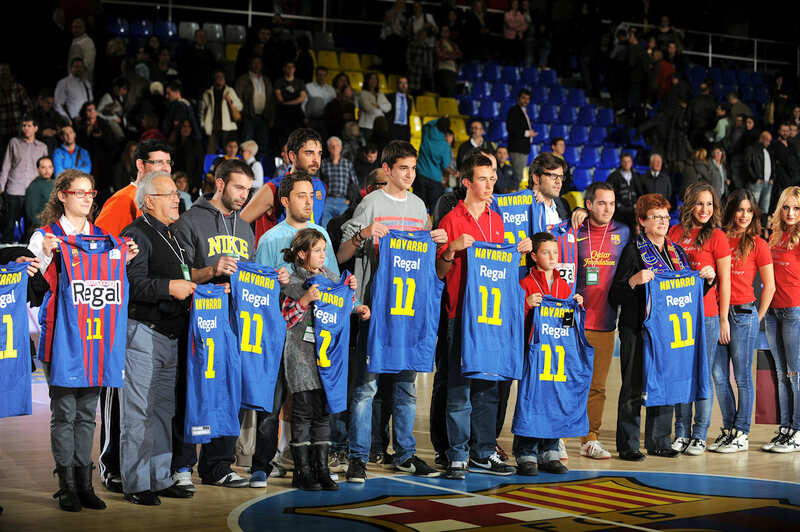 Navarro won the 1998 U18 European Championships and the 1999 U19 World Championships with Spain, as well. 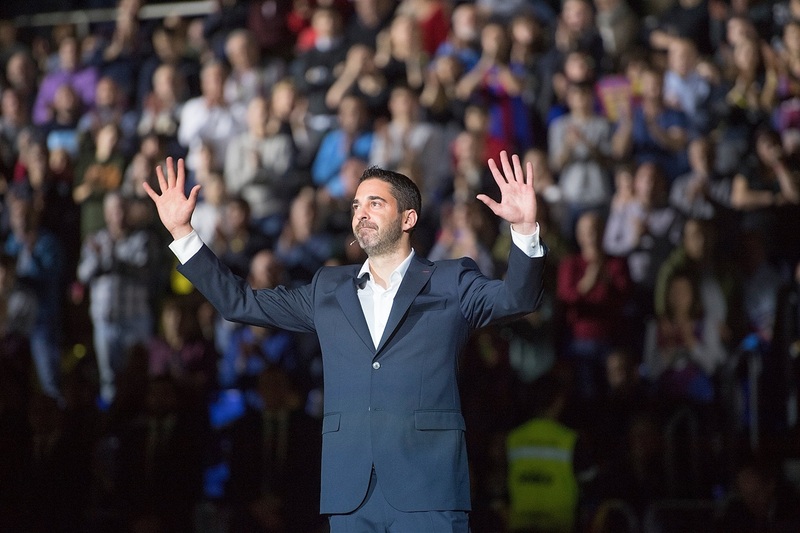 Navarro joins Juan Antonio (Epi) San Epifanio (15), Nacho Solozabal (7), Andres Jimenez (4), and Roberto Dueñas (12), the last three of whom attended Friday's ceremony, as the only Barcelona players to have their numbers retired. 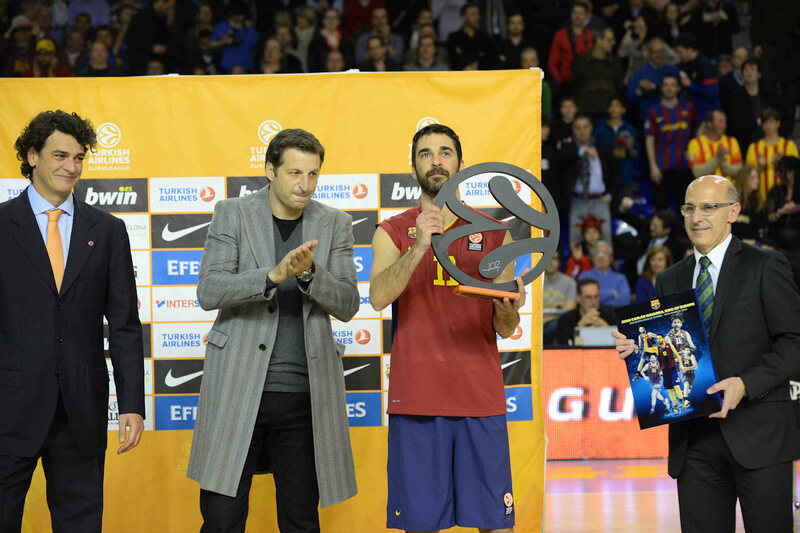 Navarro also received a gift from Felipe Reyes on behalf of Real Madrid. "Thanks everyone for coming and to the club for this tribute. I had many tributes these days but the one I really wanted to see, the most exciting and important in my career, being here, at the Palau, with our fans, my family and my people. That is most important," Navarro said from center court. "When I was a little kid, and my father put up a basket hoop in our back yard, not even in my best dreams I would have been able to think that my jersey would be here, forever, at home, in Palau, in front of us. This is why I want to thank Vanessa [his wife], Elsa, Lucia [his daughters], my mother, my brothers, who got me into basketball, this beautiful sport, and above all to you, Dad [pointing to the sky]. I leave with a lot of memories – all good – many teammates and friends, and truth to be told, I had an excellent career. I have always tried to give everything for this club, and I will miss you. Thanks a lot to those who came from far away, and to you all for coming tonight way before the game, to share such an important moment in my life. This is something I will always remember, one of the best moments in my life. Thank you very much, Visca el Barça!" 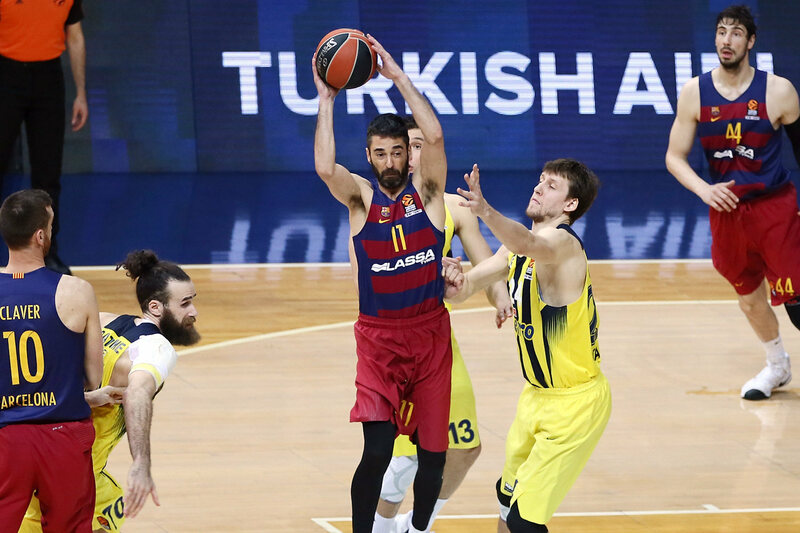 Navarro made a key late steal and layupl as Barcelona won its first EuroLeague title in 2003. Navarro had already been with Barcelona for six seasons in 2003. 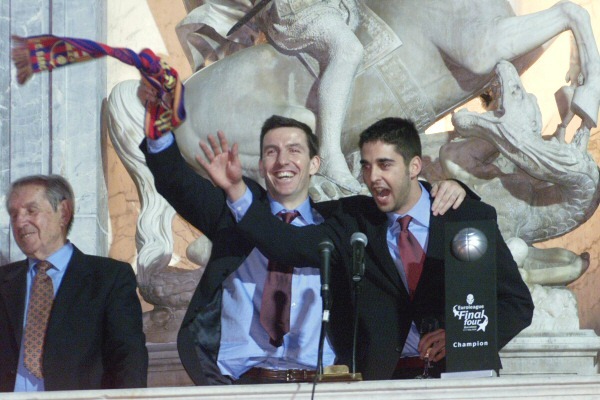 Navarro and then teammate Nacho Rodriguez celebrate during the 2003 title parade. 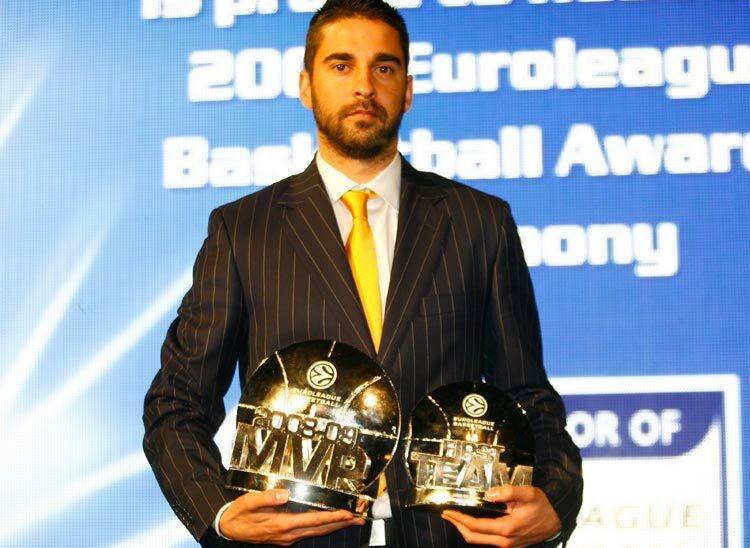 Navarro was voted again to the All-EuroLeague First Team in 2010. 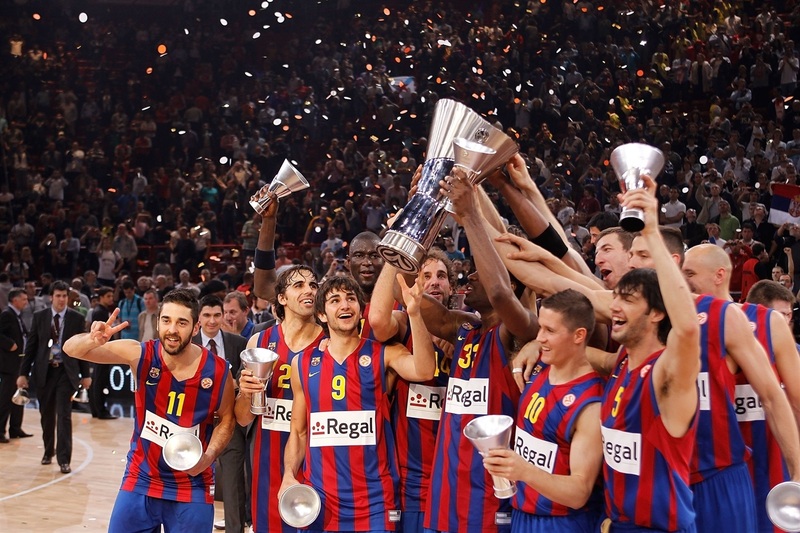 Navarro was voted MVP of the 2010 Final Four in Paris as Barcelona won its second EuroLeague title. 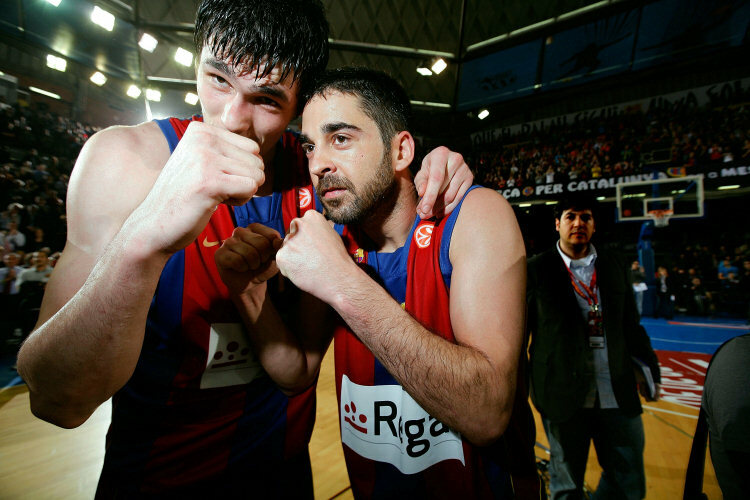 Navarro is the only player to be part of both of Barcelona's EuroLeague titles, in 2003 and 2010. Navarro on the move during the 2010-11 season. 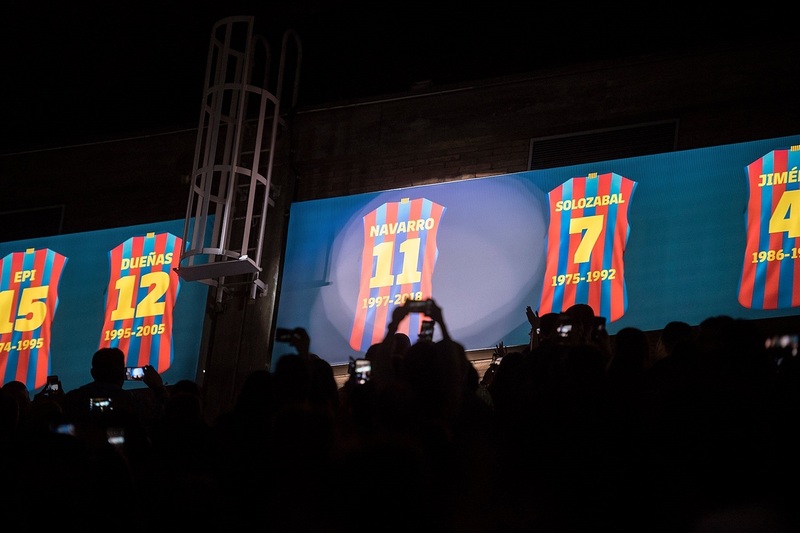 Fans in Barcelona pay tribute to Navarro on the 15-year anniversary of his start with the club. Navarro playing at his ninth and last Final Four in 2014 in Milan. 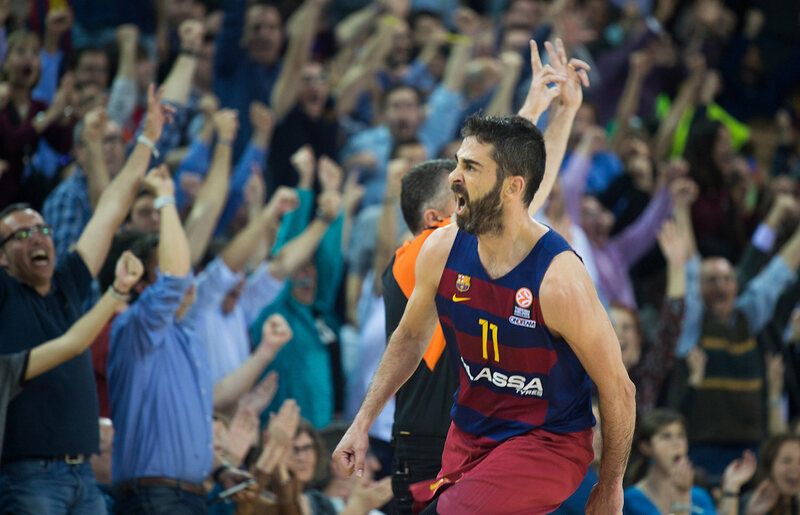 Navarro celebrates another big shot with the Barcelona fans. 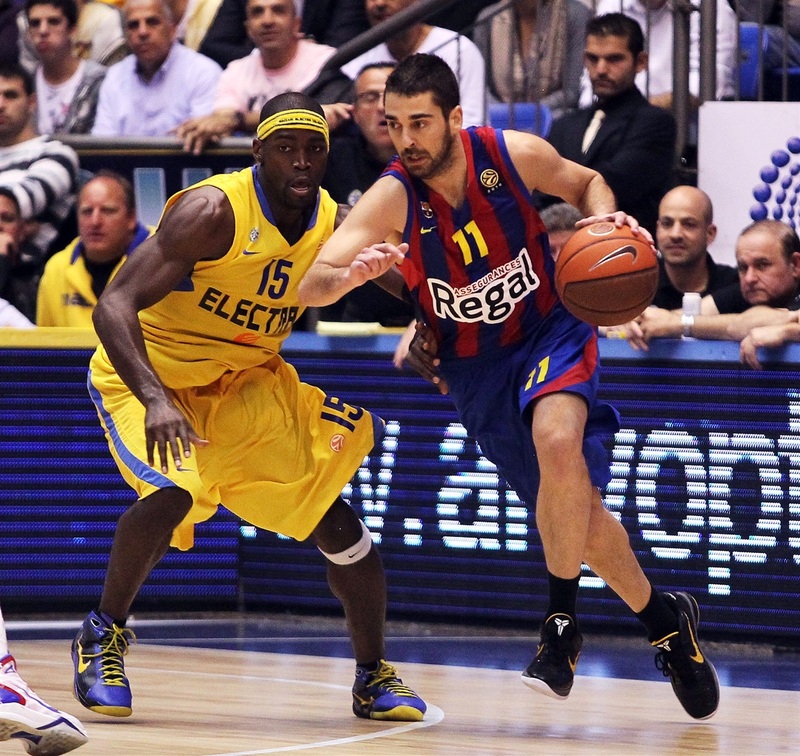 Navarro represented Barcelona for 20 of his 21 professional seasons. 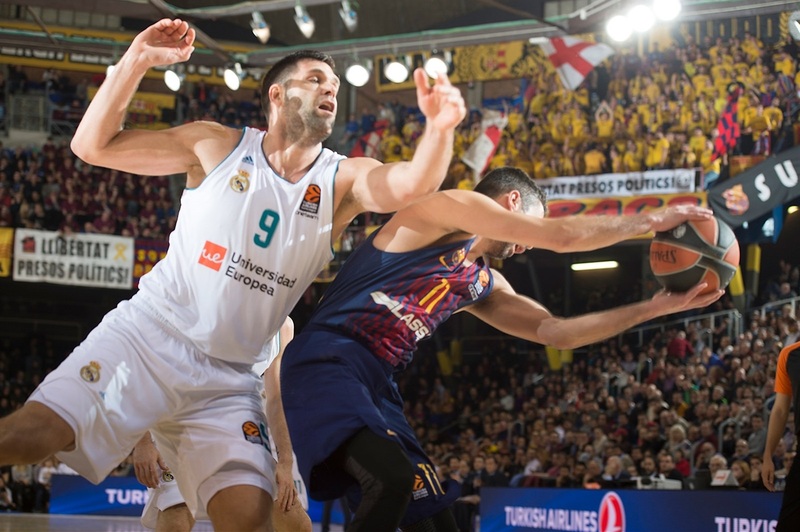 His battles with arch-rival Real Madrid, featuring national teammates like Felipe Reyes, were legendary. 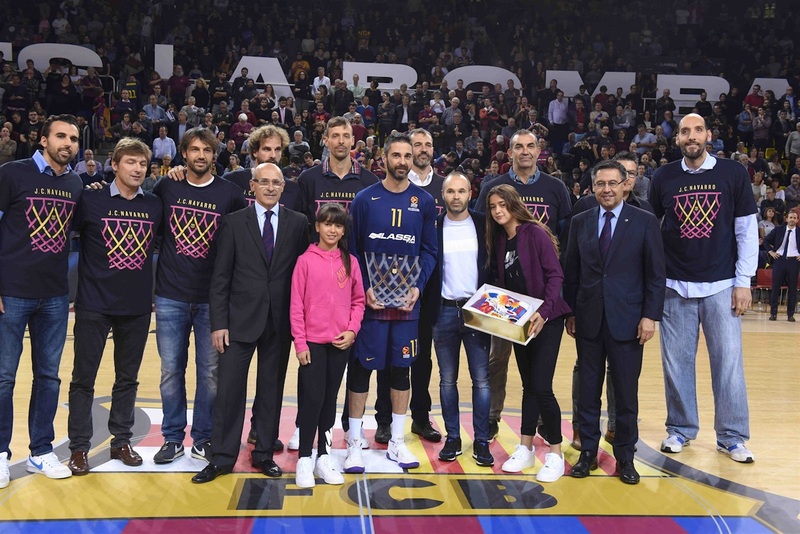 FC Barcelona Lassa honored Navarro on his 20 years with the club.